We have many styles of Steel Garage Door to choose from and if custom doors are what you are looking for, we will work with you to design the perfect door. Don't forget to complete your door purchase with one of our Garage Door Openers. C.H.I. 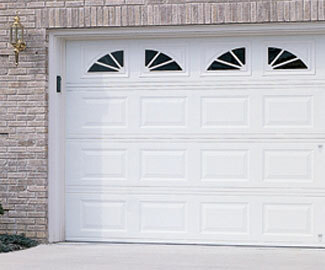 Overhead Doors is a prominent manufacturer of residential sectional garage doors, as well as commercial sectional and rolling steel. C.H.I. 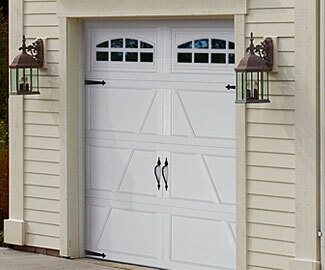 produces the highest quality garage doors by integrating premium-quality materials with superior designs and workmanship while maintaining a strong focus on end user satisfaction. Dedicated to providing top quality overhead doors, backed by the best customer service and dealer support in the industry, it becomes clear why C.H.I. 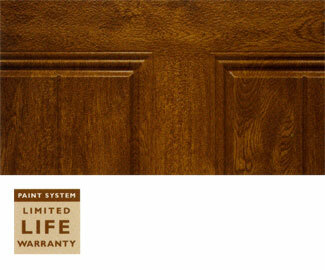 is "The Door To Quality." THE BEAUTY OF STAINED WOOD WITHOUT THE UPKEEP! Constructed of durable steel embossed with a natural wood-grain texture, this budget friendly line of garage doors is available in long or short grooved (beadboard) panel designs with various window combinations and hardware for a one-of-a-kind look. Factory paint and woodgrain (stained wood) print finishes available. Insulation is optional. 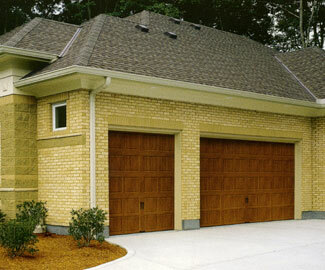 Makuch Garage Doors serves the following Chicago Area: Arlington Heights, Barrington, Buffalo Grove, Chicago, Deerfield, Des Plaines, Edison Park, Elk Grove Village, Franklin Park, Golf, Glencoe, Glenview, Harwood Heights, Highland Park, Hinsdale, Hoffman Estates, Itasca, Inverness, Kenilworth, Lake Forest, Libertyville, Long Grove, Lincolnwood, Maine Township, Morton Grove, Mount Prospect, Niles, Norridge, Northbrook, Northshore, Oakbrook, Palatine, Park Ridge, River Forest, Rolling Meadows, Rosemont, Roselle, Sauganash, Schaumburg, Schiller Park, Streamwood, Vernon Hills, Westchester, Wheeling, Wilmette, Winnetka, Wood Dale, and more.